What Makes Jumping Rocks Styling and Photography Different? We’ve done this before. 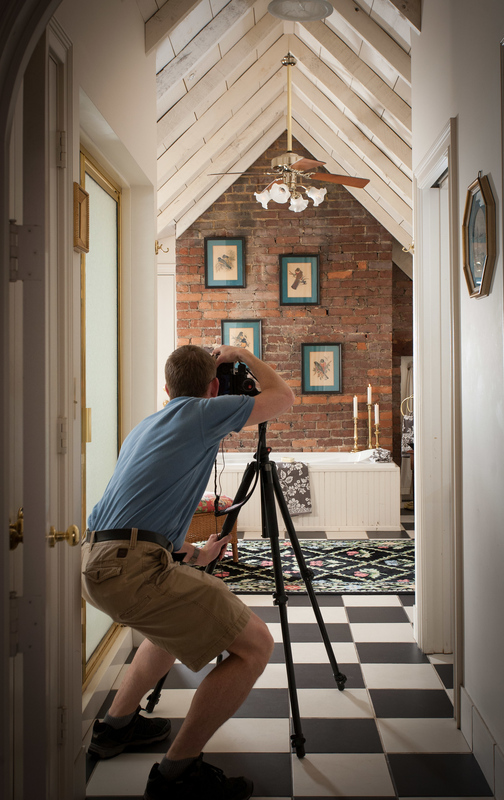 We’ve shot hundreds of properties and literally thousands of rooms, from petite to palatial. Our food shoots have ranged from biscuits to bouillabase. We’ve been there. We’ve worked for over 15 years in both the photography field and the hospitality business. As owners of a successful lodging business, we developed an understanding of the types of images that actually sell rooms and set you apart from your competition. We bring this experience and perspective to the shoot, making suggestions and helping to formulate strategies. We’re not moody, but our pictures are. Our photos go beyond simply a visual description of a space or place. Our combination of technical expertise and first-hand knowledge of the inn guest results in images that conjure up mood and emotion. These types of images translate into increased occupancy, higher room rates and a tangible effect on your bottom line. We’re movers and shakers. And stylers and stagers…We style spaces to give a sense of warmth and to illustrate the concept we are conveying. The camera sees things very differently than the naked eye, so we often make significant adjustments to decor and furniture arrangements to create the best photo. Interior photography styling is an art in itself. We’re equipped. When we arrive at your location for a shoot, we will arrive with the best lighting, lenses, and camera gear available to get the job done. If we arrive by car, we select props from our extensive prop library and bring them along. We work hard. You’re in hospitality—you know what that means. We help you get Publicity and Press. Investing in great professional photography helps get you more and better press placements – it’s a fact. We have developed a tool exclusively for our customers to make it easier to communicate and get images to the press, Jumping Rocks Media Bank (JRMB). Launched in 2008, it has already generated tens of thousands of dollars (in terms of ad-space rates) in dozens of newspapers, magazines, online media and TV. When the press approaches us for pictures, we simply send them to Jumping Rocks Media Bank. When a travel writer comes to your door or calls, you can give them your password-protected, custom URL (which we will provide you). Currently, JRMB is hosting over 10,000 images! What to hear an interview with Mark and Matthew and get their thoughts on styling, photography and getting ready for a photo shoot? Check out the Inside Innkeeping Podcast from Inn Partners. Listen here or download wherever you get your podcasts.